Air compressors are applicable in a wide range of industries for various uses. Many consider compressed air as crucial as water and electricity. The problem is that this utility is quite expensive to install, produce, and maintain. 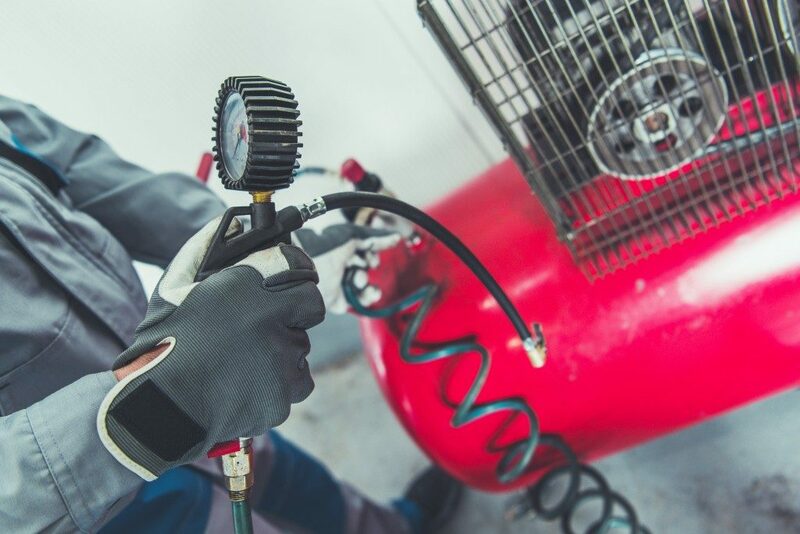 Compressed air generation in many facilities costs thousands of dollars. The worst part of this is that a large portion of this air goes to waste. That is why it is crucial to look at the energy-efficient part of the process, even as you get rid of moisture and contaminants. Compared to conventional models, modern compressors come with better storage and controls. The best models on the market today offer excellent storage and flow control features for energy efficiency. Flow control tools are necessary for reducing air wastage. They detect downstream pressure and effect adjustments immediately. When it comes to storage capacity, you may need to purchase a bigger compressor so that it will not need to run longer. Some companies have been able to save tens of thousands of dollars in compressor costs by adopting this change. Dirty filters are a source of energy inefficiency as they cause the compressor to work harder to produce the required pressure. Cleaning these components is often a simple procedure that lasts minutes but helps save on the electricity bill. Moreover, it prevents air leaks and reduces maintenance cost. If a filter is faulty and allows dirt to enter the compressor pipes, corrosion may occur followed by air leaks. Even as you check and replace the filters regularly, be sure to check the pipes for dirt. Perhaps an air compressor system is inefficient because of the piping infrastructure design. Did you know that a reduction in pipe size could help increase air pressure? It is one of the most effective ways of achieving higher efficiency. For instance, changing a 9-cm diameter pipe to a 6-cm diameter pipe could achieve a 50% increase in air pressure. The air compression process produces heat as a by-product, but this does not have to go to waste. Indeed, some facilities use this for other purposes. This way, additional heating is not necessary, and savings are possible. Simply connect the ducting to an air-cooled compressor, and you can supply heat to any section of the building. You can start saving money by promoting air compression efficiency today. Determine the suitability of your equipment for modern use and identify all the loopholes where the air is being lost. Hire an expert for this analysis, and the results may astound you.